Gunpowder manufacture began in Millhouse in 1839 and continued until 1921, despite several serious accidents during this time. 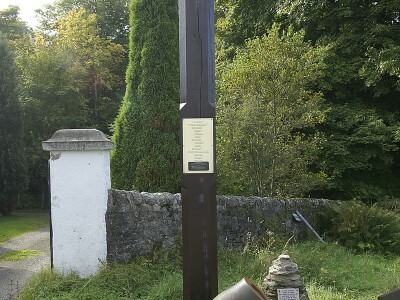 The ruins of the Mill are visible in the woods to the right on the road from Millhouse to Kames. In order to minimise the dangers of this dangerous industry, buildings were built a certain distance apart, trees were planted to absorb the effects of any blasts, and the buildings were constructed with massive walls and deliberately weak roofs to direct explosions upwards. 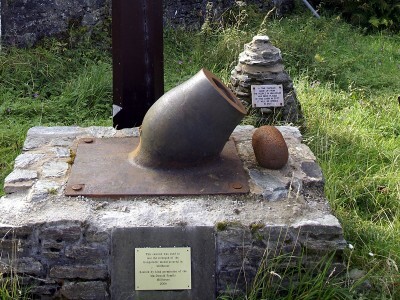 At the corner by Cladh a Mhuillinn Lodge there is a small cannon designed to test the powder, a timekeeping bell, and a monument to those killed in explosions at the Gunpowder Mill.